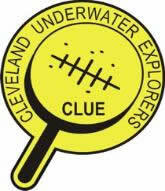 Cleveland Underwater Explorers Inc, (CLUE) is a non-profit corporation whose purpose is to research, locate, explore and document the shipwrecks of the Great Lakes with an emphasis on Lake Erie. The team consists of individuals experienced in maritime archaeology, archival research, Great Lakes history and ship construction, underwater survey techniques and equipment, mechanical and electrical engineering, and recreational and technical scuba diving. The team is dedicated to finding, exploring, and documenting the submerged history found on the bottom of the Great Lakes. CLUE is based in Cleveland, Ohio, United States of America, on the southern shore of Lake Erie. CLUE has been actively involved with The Great Lakes Historical Society's Peachman Lake Erie Shipwreck Research Center in two recent projects; the discovery of the Cortland in 2005, and the most recent discovery of the Anthony B. Wayne, just announced at a press conference by the Great Lakes Historical Society on June 21, 2007.